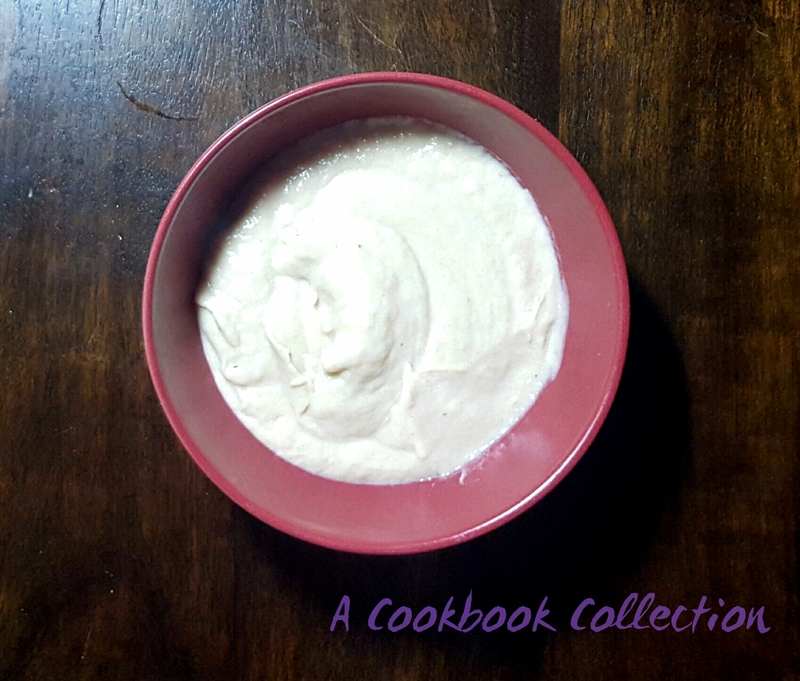 Cauliflower puree. Beige sludge. Seriously, there is nothing I can do to make this look good. So I didn’t even try too hard to be honest. But my God, it tastes delicious! 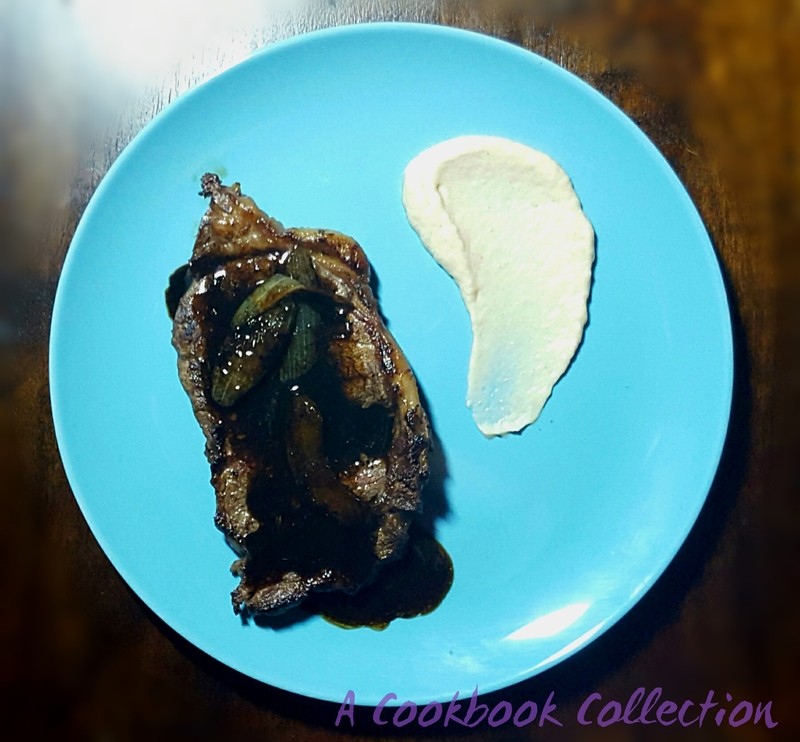 I was watching an episode of Australian Masterchef last week and Billie – I love her – made a speck and cauliflower puree to go with a beef dish. The judges raved about it and it sounded fab so I thought I’d have to give it a go. I’ve never even seen speck though, but as it is a type of cured pork I decided to use pancetta instead. Feel free to use smoked bacon. This is not to be used as a sauce, it is far too rich. A little on the side of a plate just really adds great flavour. I made this to go with beef but it would work really well with any meat, white fish or scallops. I’m not saying you would make it every day but it would be a great extra for a special meal. Melt the butter in a pan over a medium heat and then add the pancetta and onion. Cook until the bacon is cooked and the onions have softened. Add the garlic and cook for another minute. Pour the milk in and bring to a simmer. Meanwhile, remove the leaves and tough inner stalk from the cauliflower and cut it into florets. Add to the milk along with the thyme and bay leaf and bring it back to a simmer. Lower the heat to medium-low and cover the pan. Simmer until the cauliflower is cooked through, it will take about 20 minutes depending on the size of the florets. Scoop out the cooked cauliflower and put it into a blender or food processor. It will be fine if some of the bacon or onion gets into the blender but make sure you don’t add the herbs. Blend until the cauliflower is completely pureed. Add some of the milk if you want to thin it down a bit. This was just the texture I wanted from the blender but if you want to make it smoother pass it through a fine sieve. Taste and season with salt and pepper as needed. Donna, you are currently my favourite person on earth for many reasons related or unrelated to a certain surprise chocolate biscuit cake in the shape of a Christmas pudding delivered to my door which tastes delicious and would bring a tear of unfettered joy to a glass eye, but I do like your savoury diversion here. This is aided by the fact that it looks like even I could do this. Did I forget to mention you’re wonderful? Thanks Tara, you keep that kinda talk coming and we’ll be friends for life ? I’m always happy to be someone’s favourite person even if they were bribed! Looks wonderful! I’ve never made it with 100% cauliflower but now I must! Thank you Mimi. It really has a lovely flavour. I am always looking for new cauliflower recipes. Yours sounds delicious, I will try it. Thanks. Thank you Cecelia I hope you like it. Chuffed to bits with this! © Donna Hennessy and ACookbookCollection.com 2013-2018. Unauthorized use and/or duplication of this material without express and written permission from this site’s author and/or owner is strictly prohibited. Please contact me ACookbookCollection@gmail.com if you wish to use any of the content of this blog.